You are here: Home / Research / Do Dogs Have Their Own Poop Compass? 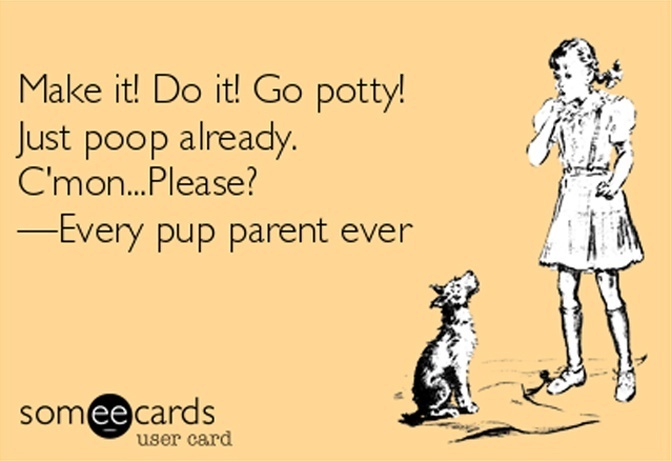 Have you ever wondered why your dog takes so long to poop? Turns out there’s a scientific explanation for it. Our dogs can be picky about where they poop, but there is a scientific explanation for it — dogs seem to have their own poop compass. Dogs Have Their Own Poop Compass? When you go outside with your dog does it sometimes take them a ridiculous amount of time to find that perfect spot? 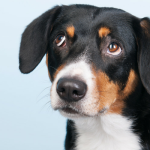 Turns out our dogs aren’t just being picky to annoy us — there’s a scientific explanation for it. Research suggests that dogs poop according to the Earth’s magnetic field. German & Czech researchers looked into how & where dogs defecate, and they’re suggesting they seem to be doing it with a certain poop compass in mind. 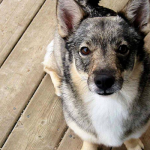 This phenomenon isn’t unique to dogs; it’s been suggested that cattle and foxes line up preferentially on Earth’s magnetic field lines when defecating. Scientists are reasoning that dogs use a similar magnetic sense when it comes to deciding when, where & how they poop. 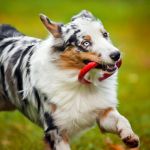 The researchers took 37 different breeds of dogs (70 dogs total) on a variety of outings over a two year period and watched how and where the dogs did their business. They analyzed 1,893 poop stops and 5,582 pee breaks during those two years. After spending two years gathering data—observing 5,582 urinations and 1,893 defecations—and ruling out things like the influence of wind, time of day, and sun angle, the researchers found that the only factor that determined how and where the dogs popped a squat was Earth’s magnetic field. 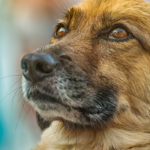 – Why is My Dog Such a Picky Pooper? 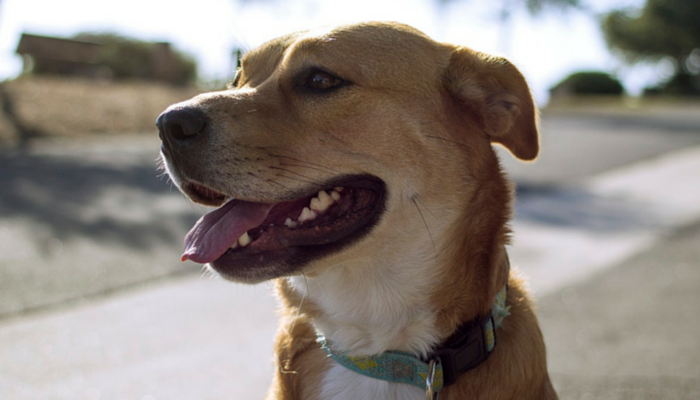 The study found that dogs seem to favor facing north or south when pooping. When peeing they found that males prefer to face northwest, and the female dogs seemed to stick with facing north or south. Although the study is intriguing it’s far from being a concrete answer as to whether dogs are doing this consciously or why they align at all. This study opens up a new set of questions into whether or not dogs are sensitive to magnetic fields like bees and whales. Scientists have long been working to figure out exactly how animals use magnetic fields for navigation, with homing pigeons being the most well known example. Do dogs possess all the same sorts of sensitivities to magnetic fields that other animals have? Unfortunately we don’t have all the answers yet, but there is enough evidence to help explain why they take so long to defecate. So remember — if your dog is taking a long time to poop don’t don’t get mad. They’re not doing it to spite you, there is a perfectly good scientific explanation for it. Sampson is the more picky pooper. Delilah just drops and goes wherever she wants. But Sampson is more about the privacy. He does not like to poop when you are watching (I turn my back or avert my eyes) and if a car comes by, or a person opens their door, he stops. Before he hurt his knee, he would NEVER poop while on leash and there was a time where he would only poop in his own yard. I read about this a while ago and I started watching Haley’s position when she poops. Either she’s an anomaly or her internal compass needs calibrated because she poops facing in all different directions, lol! 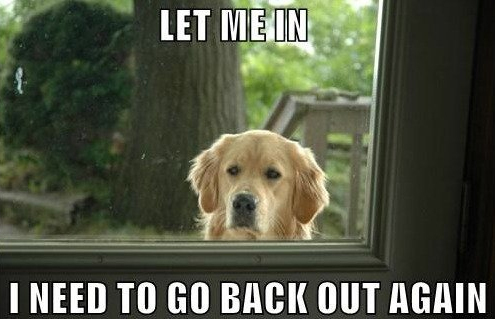 I am interested though if other people’s dogs do this or not.